East Bali is a region of Bali, Indonesia. East Bali is a large region with natural habitat ranging from lush forests and black sand beaches to barren gravel plains and an active volcano. 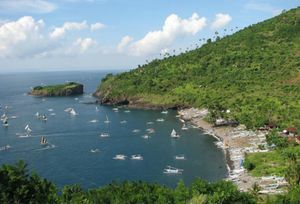 The south coast is home to the popular seaside resort town of Candidasa and ferries to Lombok at Padang Bai. Mighty Mount Agung, Bali's highest volcano, looms large over the whole of East Bali and hosts Bali's holiest of temples, Pura Besakih. In the far east, Amed is an increasingly popular and ever charming stretch of coast. 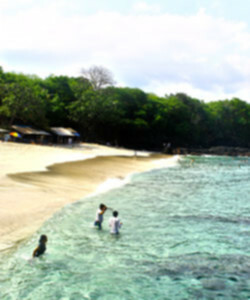 East Bali provides as much for visitors as any of Bali's regions. The climate is noticeably drier in low lying areas of East Bali than in the rest of the island, because it is in the lee of Mount Agung. On the slopes of Mount Agung (especially) and at Kintamani it gets distincly cold. Plan accordingly. Road routes into East Bali were traditionally a little inconvenient but that changed greatly when the Sanur to Kusamba main route (officially Jalan Prof Dr Ida Bagus Mantra, but nobody calls it that) was opened in 2006/7. This not only cut drive times from South Bali in half, it also relieved pressure on the heavily used Gianyar to Klungkung road. From Sanur in South Bali to Kusamba (easy access from there to Klungkung, Padang Bai and Candidasa). Time approximately one hour. From Ubud in Central Bali via Gianyar to Klungkung takes about 45 minutes and from there all points eastwards are easily accessed. From Kintamani in North Bali to Klungkung via Bangli. Time approximately 1 hour. From Kintamani in North Bali to Besakih and Mount Agung via Suter. Time approximately 45 minutes. From Singaraja in North Bali via Tulamben to Amed. Time approximately 1 hour and 30 minutes. Budget travellers are urged to check the services of Perama ] whose network covers in this region Padang Bai, Candidasa and Amed. There are also other scheduled private shuttle buses into Candidasa, Padang Bai and Amed from some major tourist centres. These are widely advertised locally. Book one day in advance. East Bali destinations are served from Batubulan bemo terminal in Denpasar. There are public ferries from Lembar (Lombok) to Padang Bai every hour, 24 hours a day. 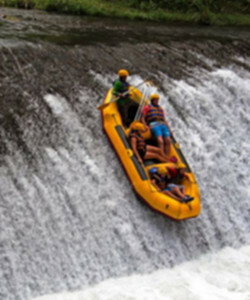 The trip normally takes four hours (but it can be considerably longer in poor weather) and costs Rp 35,000. It should be understood that this ferry has a poor safety record. Perama  runs a daily ferry service from Lombok (Rp 200,000) and the Gili Islands (Rp 300,000) to Padang Bai one way including bus transfers. There are fast boat services from the Gili Islands to Padang Bai. These have been something of a movable feast with operators coming and going. The pioneer of fast boat was BlueWater Express  which is one of top fast boat operators between Bali - Gili - Lombok. BlueWater Express price is Rp 690,000 one way. Other constant has been the Gili Cat service  for Rp 660,000 one way. Travel time is 2 hours. There is a regular shuttle bus network on the south coast which links the popular destinations of Padang Bai, Candidasa and Amed. Perama  is always worth investigating. Motorbikes are widely available for rental in the popular coastal towns and are great for nipping around from bay to bay. Othwerwise you are best off renting a car and driving yourself. 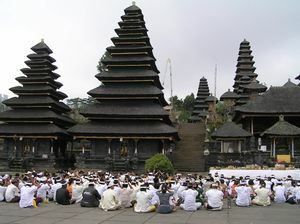 Besakih Temple (Pura Besakih) is considered by the Hindu Balinese to be their mother temple. This is the single most important temple on the whole of the island and is dramatically located on the slopes of Mount Agung. The Besakih temple complex consists of more than 20 separate temples and numerous other smaller shrines, spread out over three kilomteres. Each temple has a specific purpose, whether it is for the worship of a particular god, for the use of the people from a certain region of Bali or for the use of a specific Balinese caste. The only way to move around the temples of Besakih is on foot and there are some quite steep climbs as the complex gradually rises up the slopes of Mount Agung. Make sure you wear a good pair of comfortable shoes. The overall effect is quite spectacular, especially on a clear day. Unless you are specifically there to pray or make offerings, all the main temples are off limits and will be locked. This is not however a big drawback for visitors as just about everything can be seen from outside of the actual individual temple compounds. Besakih is one of the biggest tourist attractions in Bali and the area around the entrance has inevitably grown into a small town of souvenir hawkers and a host of others all trying to scramble a living out of relatively wealthy visitors. This does put some visitors off a little, even to point where travel guides and agents issue warnings about visiting here. There is no need to be put off though. If you behave sensibly and courteously, the hawkers soon know whether you are a "buyer" or not. Pura Besakih should be a must for every visitor to Bali. The most usual approach to Besakih is from Klungkung in the south. Take the main road which leads due north from the centre of Klungkung for about 20 km passing through Rendang. Besakih is signposted along the way. An alternative (and atractive) route is from Kintamani taken the road south from Penelokan through Suter and turning east (Besakih is signposted) just before you reach the tiny village of Pempatan. This region contains some of the most picturesque and least visited beaches on the whole island. Most (but not all) of these are black sand and tend to be quite narrow. The beaches around Candidasa are the most visited and Amed in the far east of the region is becoming increasingly popular. All the way along the south coast from Padang Bai in the west to way beyond Candidasa in the east you will find attractive waterfront villages, some far more visited than others. Take the time to explore and understand a little of coastal life in the region. The two coves (both with white sand beaches) either side of the port town of Padang Bai are absolutely gorgeous and often remarkably free of visitors. For those wanting an away-from-it-all experience but also the comforts of a developing tourist destination, then Amed fits the bill perfectly and is a great place to unwind. Standing some 3,142 metres above sea level, Mount Agung is the highest mountain on the island and its omnipresence dominates the region. Aside from specifically hosting Pura Besakih, the mountain is of great spiritual significance to the Balinese who regard it as a fragment of mythical Mount Meru and as the seat of the Gods. Any visitor cannot fail but be impressed by the majesty of Agung. There are many ways to see and explore the mountain, some more formal than others. The area around the water palace at Tirta Gangga offers great views of the mountain and the terraced rice paddies in the foothills. From here you can arrange treks of all types ranging from fairlty gentle exploration of the foothils through to an ascent to the very top of the mountain. The latter is not be taken lightly and the how, why and when are all explained here. The road through the Sideman/Selat valley in the foothills of Mount Agung makes for one of the most scenic drives on the whole island. Stunning rice terraces, lush forested hill-sides and the mountain itself, all combine to make this is a magical area to visit. If you stop in the village of Selat it is easy to find local guides for undemanding hikes in the area. A very different but nonetheless dramatic drive is around the north east coast road through Culik (the turn off to Amed is here), Tulamben and beyond. Mount Agung again looms very large but this time the aspect is one of barren gravel plains between the coast and the mountain. It is hard to believe that the lush valleys south of the mountain of Sideman are only 30 kilometres away. In the hills just 4 km inland from Candidasa at Tenganan is the most famous Bali Aga (original Balinese) village. The Bali Aga people have retained an ancient pre-Majapahit Balinese culture and this is apparent in the many obvious differences from the rest of Bali which you will find in Tenganan. The villagers maintain a strict adherence to ancestor worship, cosmology and other animist beliefs as well as a rigid social organization. Villagers must live inside the village, marry from within and the village is closed to outsiders after dark. 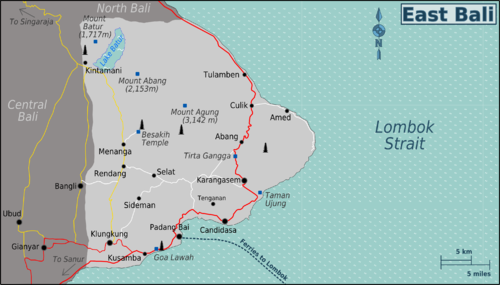 The dialect of Balinese spoken here is heard nowhere else and differs substantially from even the other Bali Aga community in Trunyan. 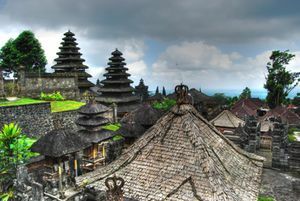 Architecturally, the village is very different from the standard Balinese design. In short, a visit here is a totally unique cultural experience. Those with an eye for top quality craftsmanship will also enjoy Tenganan. The unique double weave ikat fabric called Geringsing is made here and Tenganan produces what is probably the best basketwork anywhere in Indonesia. The village is signposted from the main coast road in Candidasa and all drivers will know the way here. Alternatively grab a lift from Candidasa on a motorbike or stroll the easy 4 km track. A small admission charge to the village will be charged. The pools at Tirta Gangga Water Place are a wonderful public bathing facility and a great way to freshen yourself up in the heat of the day. East Bali offers numerous walking and trekking opportunities. The serious trekker will find climbing Mount Agung extremely rewarding. Mount Batur is an easy two hour climb and is one of the easiest accessed of all the active volcanoes in Indonesia. There are lots of other very scenic hiking routes through the region. Canyoning is also available in this area, this fun adventure sport will make you jump, slide, abseil waterfall and discover virgin nature of Bali. Many of Bali's best dive spots are in this region and include a notable wreck dive at Tulamben and very rewarding reef dives at Amed, Candidasa and Padang Bai. Non-divers should not feel left out with each of those locations also offering excellent snorkeling. Freediving Amed is an indonesian freedive mecca. With it's beautiful Jemeluk Bay, coverd from wind and strong currents, offers a perfect conditions for apnea training. Fish is a very wise choice in this region as just about the whole of the coastline here is populated by traditional fishing communities. A local speciality in the Candidasa area is satay lilit, minced fish satay served on a lemongrass stick. Look for streetside vendors. There is a laid back beach bar scene in Candidasa, Padang Bai and Amed. In Candidasa you will find live music most days of the week but -due to local regulations- everything will stop quite early. Ferries from Padang Bai to Lembar, Lombok run 24 hours a day. Drive around the north eastern coast via Tulamben to Singaraja and Lovina. Drive north from Kintamani to Singaraja. This page was last edited on 7 August 2018, at 07:41.